Harriet “Harry” Dodge is a visual artist working in video and sculpture, with a focus on shape, unnameability and hybridity/defiance. She has been acclaimed for her large-scale, performative monologues and her award-winning feature film By Hook or By Crook (2000). Dodge graduated with an MFA from Bard College, and became part of a videomaking team with Stanya Kahn whose work has been exhibited internationally, including at the 2008 Whitney Biennial. Dodge is also co-founder of the collaboration TESTHOLE, which has undertaken a series of community-based interventions/partnerships experimenting with decomposition and fertility, and teaches art and writing at CalArts, UCLA and UCSD. Alison S.M. Kobayashi is a visual artist working in video, performance, installation and drawing. Working with found narratives from a variety of sources, including lost letters and discarded answering machine tapes, Kobayashi imagines identities for the subjects of these marginalized media. She incarnates a panoply of personas that are both studiously and playfully rendered. Kobayashi won the TSV Artistic Vision Award for Best Local Short Film at the Toronto Reel Asian Film Festival (2006) and was awarded the Mississauga Arts Award for Best Emerging Artist (2007). Her films have been shown in Canada, the US and Hong Kong. 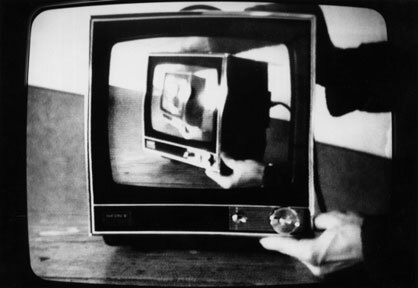 Analogue illuminates the early histories of video art in the UK, Canada, and Poland. By examining twenty years of artists’ video from these three countries, Analogue aims to broaden our understanding of this versatile medium, while charting its transition from the politicized margins of artistic practice to the mainstream. Join Lisa Steele, Peggy Gale, Kim Tomczak and Deirdre Logue, in a discussion on the evolution of video art and its future from their unique perspectives as practitioners and curators. 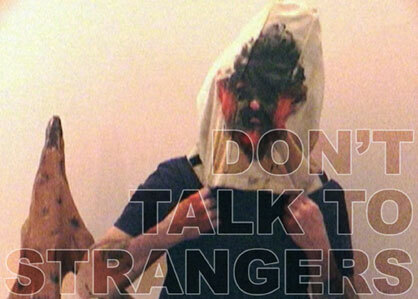 Every Thursday during Analogue at 7:00pm, Gallery Lambton will screen a topical contemporary video program. Assistant Curator Cameron Starr invites the public to join him and local artist Tyler Manzon in discussion. The series is planned with an eye towards forging a deeper understanding of the role these works play in our community, in our collection and in the discourse of Canadian Art History. Dream Deferred features works dedicated to the poetic potential of dystopian notions. While they unravel destructive forces, each work promises trust, a hopeful end, and a setting free of all things good. This screening will feature contemporary work from a select group of the video artists featured in the Analogue Exhibition. It will offer the viewer an opportunity to see the development of video art through the work of a few historically significant artists. From Gallery Lambton’s contemporary video art collection, this screening will be comprised from submissions over the past 2 years. Manzon and Starr will offer their critical insights on the current state of video art, as demonstrated through the work of emerging contemporary video artists. Buitenhuis speaks from the position of youth in critical interaction with a world from which they want to liberate. Due to the complex phrasing of simple poetic words that lure us away from linear narration and into an underlining web of meaning, the characters take the form of punk Shakespearians. Are we starved of food, or humanity? What can we do after all your choices have been taken away? Istvan Kantor’s Black Flag very literally suggests we can create chaos out of what has been forced onto us; television, concrete, machines and shiny objects meant to distract. Istvan Kantor, recipient of the 2004 Governor General’s Award for Visual and Media Arts, also known as Monty Cantsin, open-pop-star, the founder of Neoism, “Self-Appointed Leader of the People of the Lower East Side”, is an action based media artist/subvertainer/producer, active in many fields, performance, robotics, mixed-media, installation, painting, sound, music, video and new media. Kantor was born in Budapest where he studied medical science. In 1976, at age 26, he defected to Paris and from there he immigrated to Montreal. He also received many prestigious awards among them the Telefilm Canada Award for Best Canadian Film and Video in 1998, in Toronto and the Transmediale Award in 2001, in Berlin. In Skinny Teeth two teenage punk girls disrupt the stepford stale air of an Ohio shopping centre, challenges the expectations of social class and normative behaviour. Jennifer Reeves (b. 1971, Sri Lanka) is a New York-based filmmaker. Her films have shown extensively, from the Berlin, New York, Vancouver, London, Sundance, and Seoul Film Festivals to the Robert Flaherty Seminar, Princeton University, and the Museum of Modern Art, and many independent cinemas in the US, Canada, and Europe. In late 2007 and early 2008, two major retrospectives of Reeves’ films were hosted by the Kino Arsenal in Berlin, and by the San Francisco Cinematheque. Reeves has also been awarded a 2008 Media Arts Fellowship from Renew Media/ Tribeca Film Institute, funded by the Rockefeller Foundation, to develop a new experimental narrative feature FIRELIGHT SONG about the first female forest ranger in the United States. Reeves teaches film courses part-time at Cooper Union and the Bard College MFA Program. With Trecartin, we face a very nasty human condition; the video operates as a portal from Alice in Wonderland, connecting us with the morbid reality of earth’s chaos. Mireille Bourgeois received a Bachelor in Fine Art in 2002 at NSCAD, and a Masters at the Bard College Center for Curatorial Studies in New York (2009). She has also independently curated/contributed to programs at the Eastern Edge Art Gallery, The NBCCD gallery, Electric Arts Intermix, Creative Times, Emerson Gallery and for the Canadian Museum of Civilization, as well as published critical writing in Visual Arts News, Creative Times Press, and C-Magazine.